What is true is that there is one Universal Spirit which connects us all, and which expects us to see all of Its creation as wonderful and to provide for each and every one of us well. When we each individually live our lives from that viewpoint, we have an entirely different approach to solving society’s and civilization’s problems. What can I do, right now, right here, to embrace and activate this viewpoint? I can stop criticizing myself and other folks. I can see the “down and out” person as reasonable, that is, as having reasons to be affected as you see them. See them as having had more problems than solutions, more problems than resources. Where is the first place you would start to help lift them up? Now, what types of things put them there? It is uncomfortable to think about. But it is worth the discomfort. With your thoughts, with your mind, just acknowledge them. Change that one practice and let the next idea seep in. Do it over time, and let the next idea just keep seeping in. I am not talking about activism. 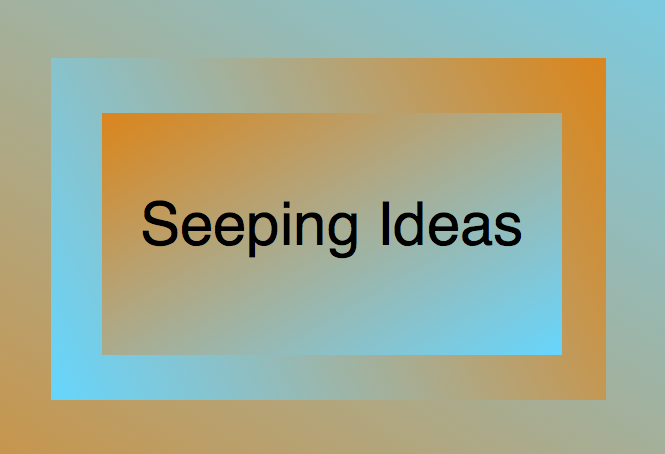 I am talking about seeping ideas. Just take that as a practice for a while.